With the increasing use of very low voltages in battery applications using microcontrollers, many traditional integrated circuits are evolving towards versions that are compatible with these circuits. This is the case of the old 555 which can be used to everything, as a shield for many microprocessed and even independent applications. See in this article a little about these new versions of the 555. Everyone who practices electronics knows what a 555 can do, we just give as an example the thousands of articles and applications of this component that there are on our site and even the several books written about it. In our article about the traditional basic 555 "Integrated Circuit 555" (ART254E) the readers can know everything they want about the operation of this component. However, the traditional, very old bipolar version has high consumption features and a range of supply voltages from 4.5 V to 15 V providing output currents up to 200 mA. The next step in the evolution of this component was the CMOS version which could already work with voltages of 2 and 18 V and had a much lower consumption, with very high input impedance. An important feature of this CMOS version is the low switching current, very important when thinking about battery powered designs. As we can see from the graph of Figure 1, the bipolar line has a very high consumption pulse when it switches, which can be difficult for a source with batteries to support, which is not the case with the CMOS version. Thus, over time, the 555 has been adapting to new application types, since it is an excellent shield for microcontrollers, for example in the conditioning of input signals or at the output to obtain different drive characteristics than a microcontroller can provide. Going through the Mouser Electronics component catalog ( https://www.mouser.com/Semiconductors/Clock-Timer-ICs/_/N-4k35s?Keyword=555&FS=True ) we find dozens of versions of the 555 and even some that has characteristics quite opposite to what we analyze in this article. We find 555 versions for high voltages, which can be interesting in automotive applications such as Rohm's BD9555VM-C for input feeds up to 42 V and signals up to 50 V! Let's take a look at some of these special 555 integrated circuits for modern applications powered by low voltage, including shields and low power consumption. This version of the 555 of low-power by Micrel can operate with voltages from 2.7 V to 18 V. It also has the shutdown feature in which it is led to a consumption of less than 1 uA. In Figure 2, we have the housing of these components which can still operate as an oscillator in frequencies up to 5 MHz. With only one capacitor and one resistor, they can generate square signals (50% active cycle). In Figure 3, we have the typical configurations for MIC1555 and MIC5557. 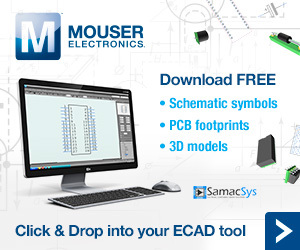 In the datasheet that can be accessed at https://www.mouser.com/datasheet/2/268/mic1555-779051.pdf you can find several other important information for your design. The low output resistance of less than 15 ohms is also emphasized. An application as a sound voltmeter is shown in Figure 4. This low-power version by Micrel can operate with voltages from 2 V to 16 V and stands out by the ability to operate as stable in frequencies up to 2.7 MHz. The component is a CMOS type consuming only 110 uA (tip) with 5 V and 90 uA (tip) with 3 V. The current peaks in the transition are reduced. The output is compatible with TTL, CMOS and MOS logic. In Figure 5, we have the housing and the pinning of this component. In the datasheet you can find lots of information for projects, including electrical characteristics, performance charts and application circuits. These components, with the datasheet revised in 2016, have as their main highlight the DIL enclosures for assembly on readboard being the 555 version simple and the 556 double. The voltage supply range is from 2 to 18 V and the maximum operating frequency is 1 MHz. In Figure 6, we have the packages. The block diagram is shown in Figure 7. The configurations for the astable and monostable circuits are the same as for the traditional versions. What sets this component apart from the traditional versions of the 555 is its ability to operate with input voltages from 4.5 to 42 V and peaks of 50V. These features make it ideal for automotive applications, such as timers and oscillators, for example in controlling LED modules. In Figure 8, we have the arrangement of the pins for this component. In Figure 9, we have a typical circuit of application. The 555 integrated circuit is no longer just a single component of many utilities for those needing timing or pulse conditioning applications. The 555 today is a family of types with specific features which fit a myriad of applications. From the microcontroller, through the IoT and wearable applications, we go to the applications in embedded and industrial electronics. This means that in choosing the version, the designer must be aware of the most important characteristics that the component must have, such as power supply voltage, consumption, frequency range, availability of additional features such as shutdown, etc. By analyzing the types available on the page that we gave at the beginning of the article, the reader can count on the fast access to a multitude of versions of the 555 that every day increases with the launch of new products.